At Texas Direct Home Buyers, we want all our clients to pass wealth to the next generation. Many of our investors have built up their retirement nest eggs and have enough to live comfortably. They are now looking at the next generation, and thinking about buying real estate for their grandchildren. We will address this in a future blog. This week we will cover options when your portfolio is liquid. So how should one pass wealth to the next generation? One way is to simply give them money. 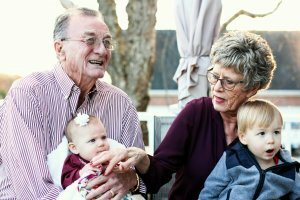 It is wise in many cases to give the maximum amount of $14,000 to each grandchild with no tax implications. Your spouse can also give $14,000. If you have seven kids and seven grandchildren like we have, that is potentially $392,000 which can be given tax free with no reporting in a year. This strategy can take care of a lot of needs for many families while lessening estate taxes. A 529 plan allows you to put away money for your grandchildren’s education, paying for qualified education expenses. This money is not taxed, and does not impact the student’s applications for financial aid. You can also front load the account with a five-year single contribution, allowing compound interest for a longer period. The current limit is $14,000 per year per spouse, so it is possible to give $140,000 at one time to a student, and five years later repeat the process. This maximizes compounding of interest. Of course, for many families that level of contributions is beyond their budget. But if your kids go to state schools in Texas like ours did, even modest contributions can make a big difference. Instead of just giving the $14,000 to your grandchild, you can put that money in a trust account that you control. The trust pays the taxes on income earned from those amounts deposited. This can be a great way to build wealth for the next generation, but trusts can be very complicated, with experienced attorneys doing the work. Make sure you don’t run out of money for yourself! Sad stories have been told of generous grandparents wishing to divest themselves and passing their goods to the next generation too quickly. Additionally, if you happen to have any “boomerang kids”, you want to be especially careful. At Texas Direct Home Buyers, we believe it is especially important to teach your children and grandchildren the importance of hard work, and hope you never find yourself with adult children who cannot make it on their own. There is nothing wrong with older children living with their parents or grandparents. Just make sure you count the costs for whatever your situation is, and take care of yourself. Before you give to grandchildren, you should assess your own retirement plans. And you should get expert help. We like Quest Trust Company, who specializes in helping retirees self-direct their funds into investments they personally know, rather than simply putting it into the stock market. And you should always live within your means, providing lessons to the next generation that will do them well. And most of all, you should teach your children and grandchildren well by being a good example of stewardship. I hate that bumper sticker bragging that “we’re spending our children’s inheritance!”. God has been good to us; we should be outward focused and follow the Texas Direct Home Buyers motto: “Doing it for the next generation.” Let’s be wise when we pass wealth to the next generation.